67-year-old singer and her children Lisa and Harry for the summer settled at a villa on the shores of the Baltic Sea. 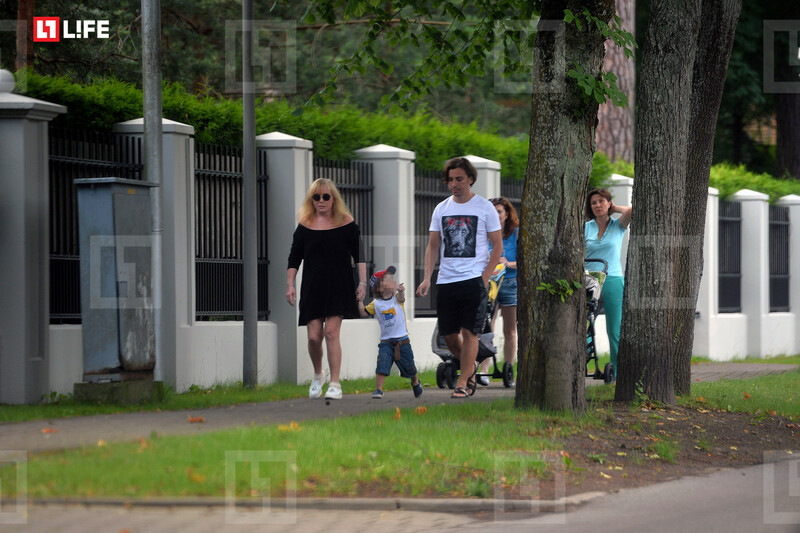 Pugacheva spends the entire summer at the most luxurious villas in the Jurmala resort. 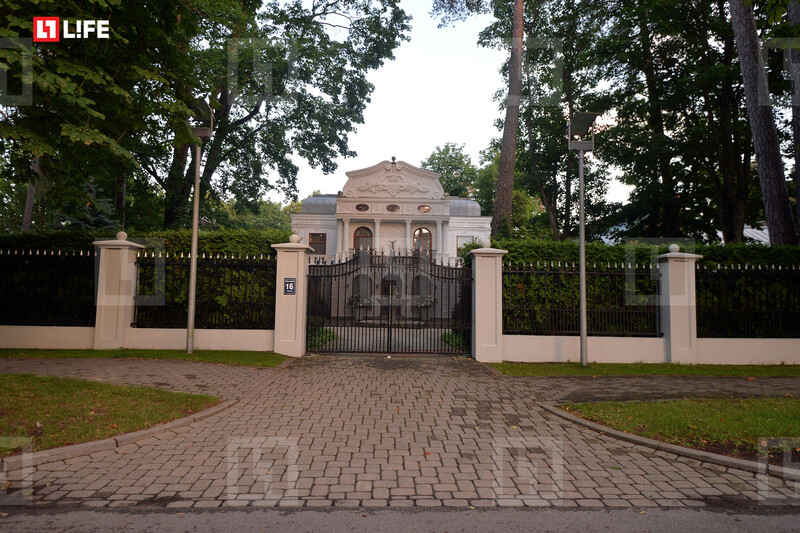 Latvian villa, which Russian singer is renting for the summer, costs a few tens of thousands of euros per month. In early June diva arrived to Jurmala with the children - three-year Lisa and Harry, and after a couple of weeks humorist Maxim Galkin joined the family. Life.ru managed to shoot stellar family on vacation and find out the details of life of stars. According to local residents, Pugacheva and Galkin behave very modestly in Jurmala. The pair, which can often be found on a walk in a city park, is always polite with tourists. However, tired of too much attention, singer and humorist recently had ordered "to cut all knots on trees." Thus stellar pair decided to protect themselves from the ever-present paparazzi who were climbing on the branches and watching them. By the way, villa also provides more protection from prying eyes. Even the hammock in the yard, where 67-year-old Pugacheva is resting in the afternoon, carefully closed on all sides by a white tent. 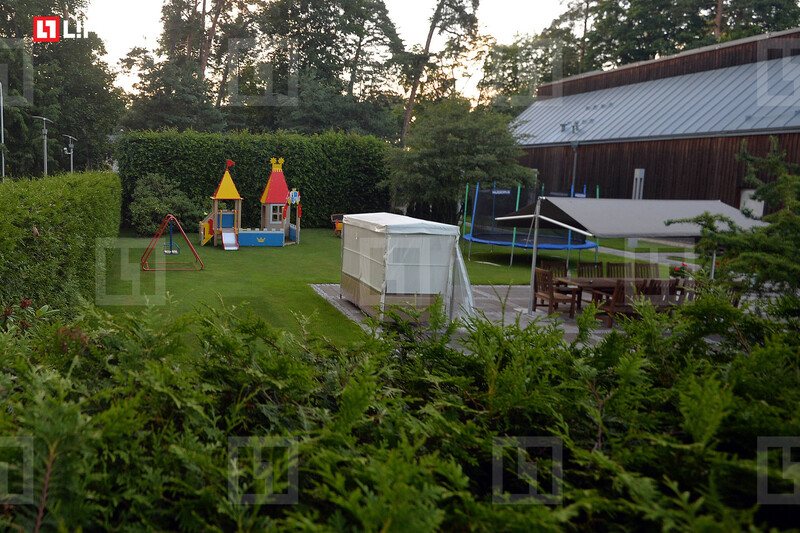 There is a playground with trampolines, where children of Pugacheva and Galkin - Lisa and Harry love to jump. There's surveillance cameras covering this whole area. In the morning the locals often see Maxim Galkin, riding around the neighborhood a bike. In the evenings humorist was noticed strolling along the Jurmala beach. Galkin is usually hiding from prying eyes under a cap and hood and wandering along the beach, deep in his thoughts. The other day Pugacheva’s husband celebrated his 40th anniversary: in honor of the anniversary the whole family was going to the restaurant "Philip". Children of Pugacheva and Galkin - twins Lisa and Harry - attract adoration in the local people. Kids love to walk around the city holding their parent’s hands. Harry often is curious, looking at each plant, while Lisa prefers to sit in a baby carriage instead of taking a walk. A couple of nurses of Lisa and Harry accompanies them to the Legend Beach, where a personal veranda with sun beds is arranged for Alla. However, sometimes the nurses are being sent away for the rest, and then the residents of Jurmala may witness a touching picture: for example, as the Pugacheva holding her son’s hand and talks with him about something. One day, when in Jurmala established a clear, sunny weather, Galkin and Pugacheva went to the beach, where Galkin taught children to swim surrounded by local children and tourists. Lisa and Harry were happy, having fun and ignoring the curious stares of sunbathers. In the evening the singer and her husband are playing backgammon in the yard with a family friend - Alina Redel, who is staying at the villa. A special pleasure for the singer, according to employees of the villa is the spa, located on the territory. Pugacheva goes every evening to the sauna and swims in the pool. Local residents now and then pointed out that the singer looks younger, appearing on the streets of Jurmala in shorts and dresses.